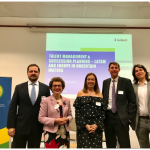 Délber Lage, CEO of SalaryFits UK, was part of a Talent Management talk promoted by the Brazilian Chamber and Canning House at the Brazilian Embassy in London. 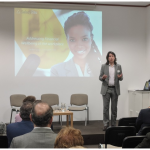 Held on May 22, the event was attended by several high-level global executives, who shared experiences and cases in their action areas, revealing the strategies used in their companies to keep their employees motivated and engaged. In his presentation, Delber highlighted, especially, the necessary infrastructure to build a sustainable financial relationship between employee-employer.